In an emerging, dynamic industry, Yana® Solar is a tenured Solar-PV energy solution provider offering Comprehensive EPC solutions. Our Projects are designed to the highest quality mark. Yana® Solar prides itself on reliability, quality and performance. Our customer centric approach is second to none. Yana® Solar develop projects on a full turn-key basis, enabling power generation at a significantly lower cost in comparison to a conventional grid system. Through implementing quality engineers and a skilled workforce, Yana® Solar not only delivers quality, but builds a sustainable value chain that our customers avidly endorse. To make our future sustainable through quality green energy solutions. Our Chairman, Mr. Ramanaiah. V. was a first-generation entrepreneur and carries an experience of 40+ years in the manufacturing industry. 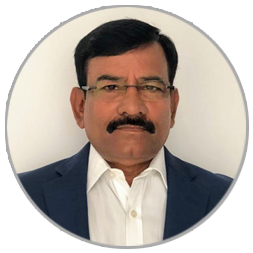 His expertise lies in the development and deployment of turnkey solutions to an industry, right from design, engineering, installing and commissioning. Mr. Ramanaiah. V. was the co-founder of a machinery manufacturing company and was associated with it for nearly 15 years. Under his leadership, he spearheaded the growth of the company from a few thousand dollars during the inception year to a multi-million-dollar industry at the time of his exit. Mr. Ramanaiah. V. since then has ventured into the sustainable energy industry, pursuant to a paradigm shift in several domestic & international government / private initiatives on providing countries with long term sustainable energy solutions. Mr. Harikishan. V. R., holds a Master’s Degree from one of the most reputed institutes in the world. 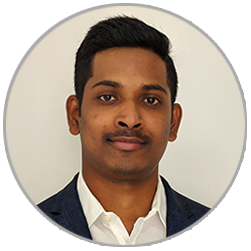 Following his keen insights into new & developing technologies combined with an emerging demand for sustainable energy in India and around the world - resulted in the birth of Yana® Solar. Mr. Harikishan. V. R. has always been steadfast in his involvement and promotion of green energy solutions and is determined to make green energy a part of every sector. During the day, sunlight is captured by solar panels and these panels covert sunlight into DC. This DC is made to pass through inverter where the electricity is stabilized and converted to AC. This system is now a source of economical and cleaner electricity. Have you noticed that, your electricity consumption has gone up by about 50% in the last 5 years? This trend will continue. Until a few years ago, solar power generation was considered expensive and today the scenario has radically changed. A growing demand for Solar Power Generations has catalysed the re-search and development for economically viable green energy technologies. This has eventually translated into economies of scale, where-by customers now benefit from lowered purchase and ownership costs of a solar plant. 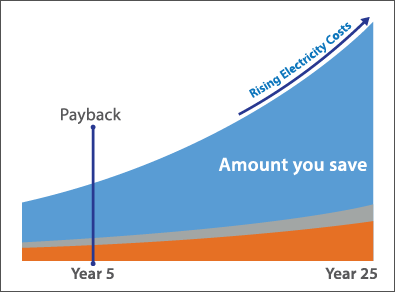 The Average Annual Rate of Return (AARR) being over 20%, Solar Energy assures our customers’ initial investment is paid back within a period of 5 years or earlier, post which Energy is provided free of cost for the next 20 years. Guaranteed. Highly skilled and professional team spread across South India. Our in-house, Engineering team constantly works on designing efficient PV Plants by using the latest technology, ie; PVsyst, Sketchup, PVCAD, SUNDAT. Our design and value additions ensure a reduction in existing power bills by a minimum of 30%. Project team has immense knowledge of planning, executing and developing EPC projects for over 40 Years. We at Yana® Solar always emphasise on adapting the latest technology available. We believe that no two projects are the same, therefore Yana® ensures bespoke fit-outs to every client. Assessment of Solar Energy (SEAR) Generation based out of data from NASA, METEONORM. Validation of all the data collected and start with pre-planning. Preparation of GANTT chart to ensure in-time completion of the project. Yield Assessment based on SEAR. Designing of the PV Plant with the aid of superior design tools such as PVsyst, STAAD. Optimizing the initial design to ensure the yield is higher. Finalization of the design and prepare drawings. Listing of Master Deliverables (Bill of Material). Procurement of material as per BOM. Procurement strictly as per IS/IEC codes. Pre-Dispatch inspection of the BOM to ensure the quality. Quality Construction under supervision of Skilled Staff. Construction as per Design and its Validation. Pre-commissioning check and trial run as per checklist.